A-Gas RemTec's Laboratory has received AHRI 700 Laboratory Certification. Our quality control program assures our customers of the highest quality and safest handling. 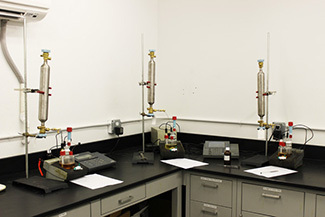 Our in-house laboratory conducts test sampling throughout the reclamation process. All finished products must meet industry-accepted specifications, including: ISO 7201 and ASTM D5632, Type 1 or Type 2; alternative replacement agents to NFPA 2001 and ASTM D6064; and refrigerants to AHRI-700. Additionally, we provide laboratory certification for all products we sell. 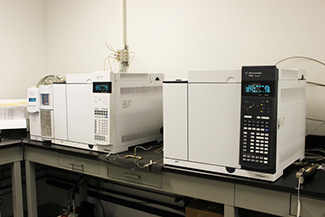 A-Gas RemTec's laboratory accepts samples from all over the world for testing. We voluntarily participate in the AHRI 700 Laboratory Certification Program. The U.S. EPA also lists A-Gas RemTec as a refrigerant reclaimer under 40 CFR 82.164, and we strictly follow all regulations and laws regarding the safe handling and transportation of Ozone Depleting Substances (ODS's). A-Gas RemTec performs all work according to the Montreal Protocol Treaty and the Clean Air Act as amended in 1990.